In 1986, Polk County was identified as one of 200 counties in the country with the greatest amount of poverty per capita. Based upon this information, a five-year study was conducted to document and determine the needs of the Polk County community. The evidence was clear and the action was immediate. In 1991, a small number of compassionate people set-out to address unmet needs and deliver services with a helping hand. Through the generosity of the Columbus United Methodist Church, a room was designated to establish a base for the fledgling organization that would become Thermal Belt Outreach Ministry (Outreach). Since that time, Outreach has grown to meet the numerous ongoing and challenging needs of those in crisis within Polk County. Today, Outreach's programs update programs from those listed in brochure. The long awaited 5-year study is completed and presented to Rev. Tony Sayer at Columbus United Methodist Church. Columbus United Methodist Church agrees to provide a room and utilities while the Church Women United donated funds to purchase telephone equipment. Bylaws were established along with a constitution and Thermal Belt Outreach Ministry opened its doors in September, 1991. Founder, Eloise Thwing becomes Outreach's first Board Chairman. Mrs. Fran Ruthven is selected as Outreach's first Executive Director. Later, Mrs. Ruthven moves from Polk County and Eloise Thwing is selected as Outreach's second Executive Director. Petie Kaericher is elected as new Board Chairman. Under this leadership, Outreach receives a separate 501(c)(3) not-for-profit tax exempt status. The first board meeting is held at the Congregational Church in Tryon in September. The operational budget was set at $14,000 and programs and services for helping the underserved and poverty level families in crisis were put into motion. The needs of families in crisis quickly outgrow the current one-room facility at Columbus United Methodist Church. In 1997, Outreach purchases 1-acre of land from Mr. Charlie Feagan and begins fundraising for a new facility. A grant is submitted to the Polk County Community Foundation and $50,000 (covering 1/3 of the cost) was awarded toward the construction of the new facility. 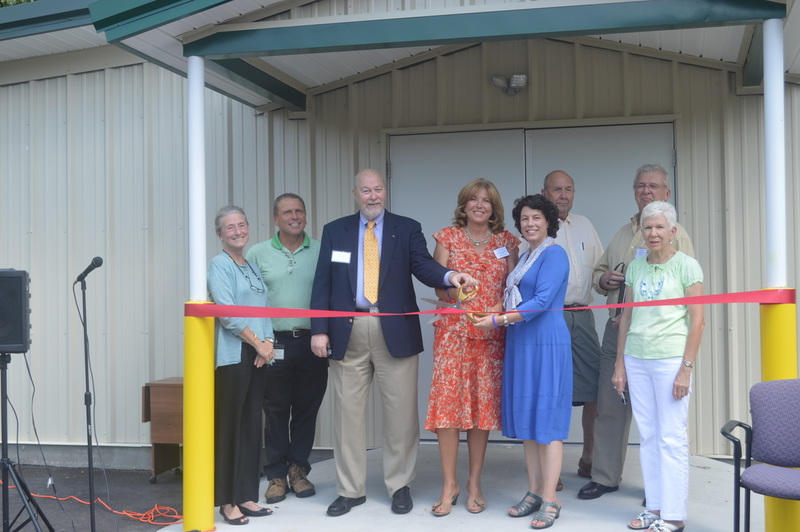 On June 8, 1998, Outreach opens its newly constructed facility for services with the Executive Director and 1-staff member as the only paid employees. All food pantry programs from various churches were combined at Outreach which then became the primary Food Pantry Program for Polk County. After a study with local agencies, it was determined that children in Polk County were in severe need of a dental clinic to improve overall dental care and health. Again, it was Outreach who helped lead the charge. Outreach acquired property adjacent adjacent to its current facility and with the leadership of Becky Collins and Mark Woodbridge, the Collins Dental Clinic was completed and opened in 2006. In 2008, the Feed-A-Kid Program was established to serve nutritionally at-risk children. The School Supply Program was launched to help needy families struggling to make ends meet by providing backpacks and school supplies for their children. In 2010, Eloise Thwing (Founder and Past Board Chairman) retired as Executive Director of Outreach and Carol Newton, the third Executive Director in the history of the organization, was hired. Newton served as Director for five years and retired in 2015. George Alley now serves as Outreach's Executive Director. Thanks to many partners, past and present board members, donors and volunteers, Thermal Belt Outreach Ministry has been serving the Polk County community for over 25 years. To learn more about current services, click here or see first hand by taking an informative tour of Outreach.